The simplest way to rearrange items in a frame is by dragging and dropping. You can simply drag an item and place it in whatever order you like. You will notice that as soon as you drop an item, all the items automatically re-arranged accordingly. So if you drop an item to the top of frame it will automatically become the headline item for that frame. 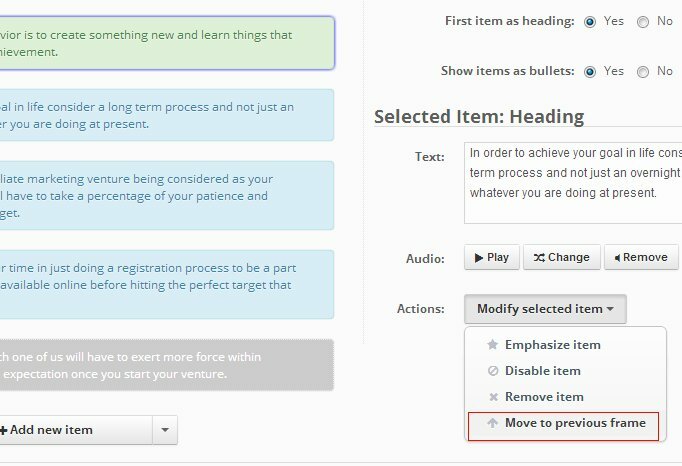 You can also select the first item in a frame and move it to previous frame using "Move to previous frame" option from "Modify selected item" menu. Similarly you can move the last item in a frame to the next frame. 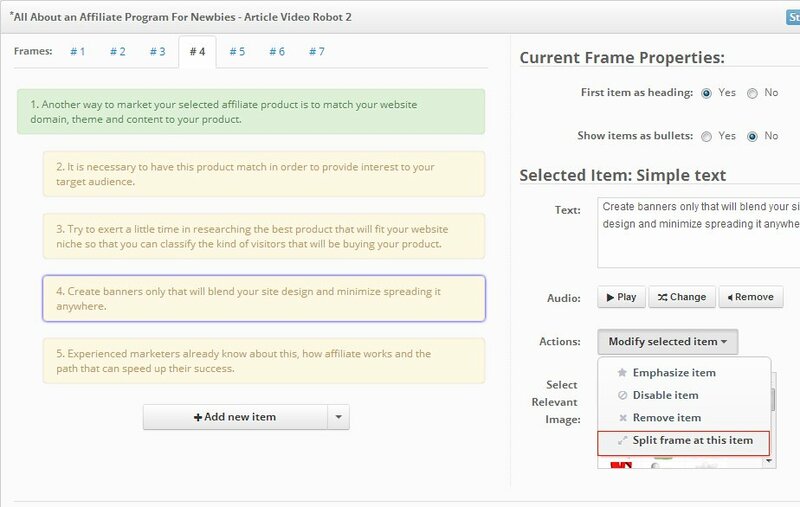 If you have too many items in a frame, you can also use "Split frame at this item" option to split your frame into this. This option is really useful, as long frame can be a bit boring to watch. This option is not available for the first two items in a frame.